Malaria Control in War Areas [MCWA] Meeting. 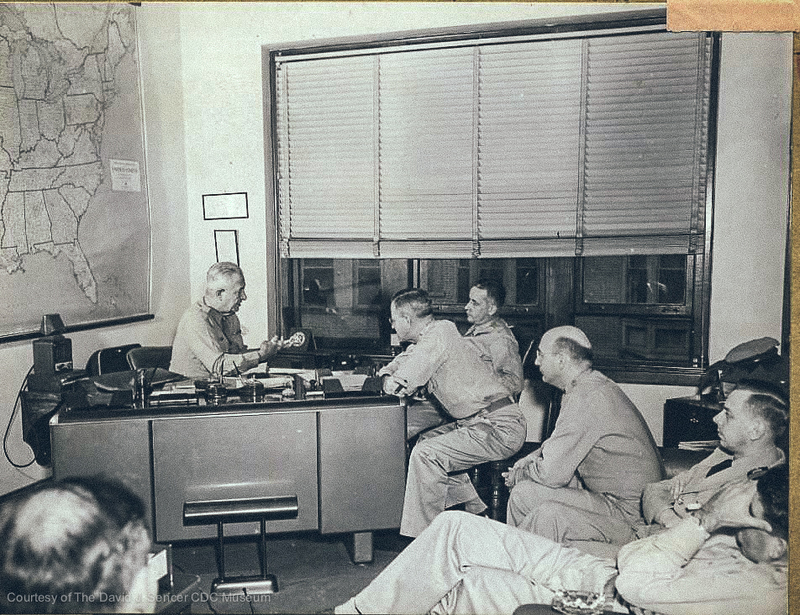 Office conference: Dr. Howard F. Smith, Dr. George Bradley, Mr. John M. Henderson, Dr. William S. Boyd, Dr. Seward Miller. Source: David J. Sencer CDC Museum at the U. S. Centers for Disease Control and Prevention and the The Global Health Chronicles [https://globalhealthchronicles.org/items/show/5100 ].